Unless otherwise noted, price, engine numbers and body type production data is from [Bowman 1988b]. Specifications are from [Chrysler 1975] and serial numbers are from [Chrysler 1973]. Production dates are from [benj 2007]. Weights are from [Kimes 1996]. 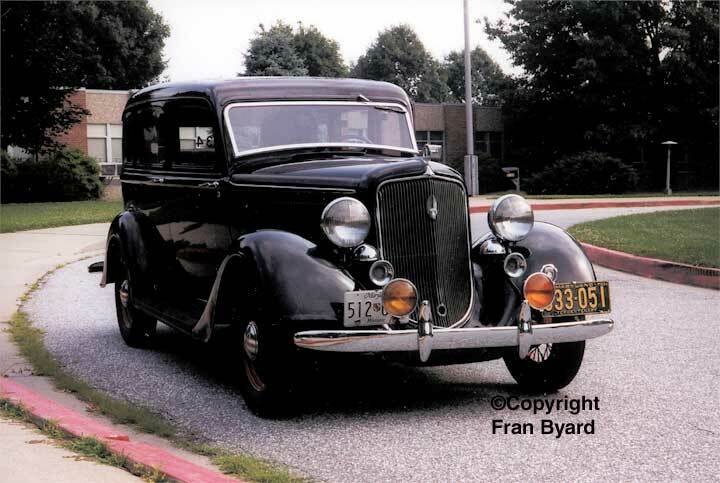 As 1934 opened, Plymouth replaced the successful PD and PCXX models with a new PE Deluxe model and a new PF model. The PF model was simply called the "six" and was possitioned in price between the PE Deluxe and the "standard" PG that was introduced later in the year. The PE and PF featured an advanced independent front suspension that used unequal A arms. Power was increased by 10% over the 1933 models by increasing the engine stroke. In other respects the PE and PF were mechanically very similar to the 1933 models. The radiator cap migrated to under the hood again where it has remained ever since. The hood ornament featured a sailing ship for the first time. These are also the first Plymouth model that placed the instrument cluster in front of the driver rather than in the center of the dash. 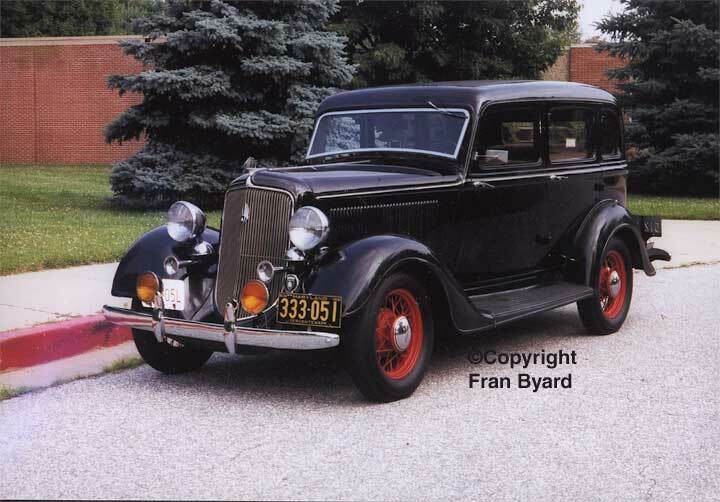 The body itself was more rounded than the 1933 models but still featured classic early 1930s styling. The combination of classic styling and independent front suspension makes this car unique. 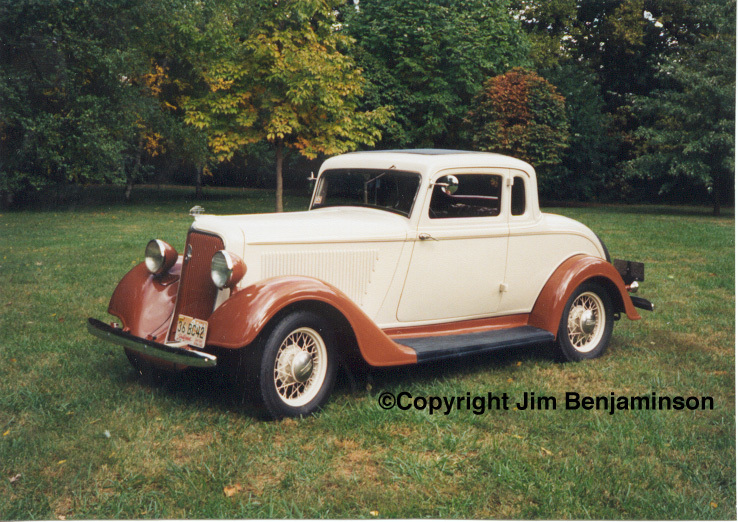 Plymouth learned in 1933 that the public wanted a full sized, full featured car. This was provided in 1934 by the PE and PF models. Unfortunately with items like the independent front suspension the price point moved up too much. For this reason, a "special" PG stripped of these features was introduced later in the year for those buyers more interested in thrift rather than features. Photographs copyright Francis Byard, used with permission. 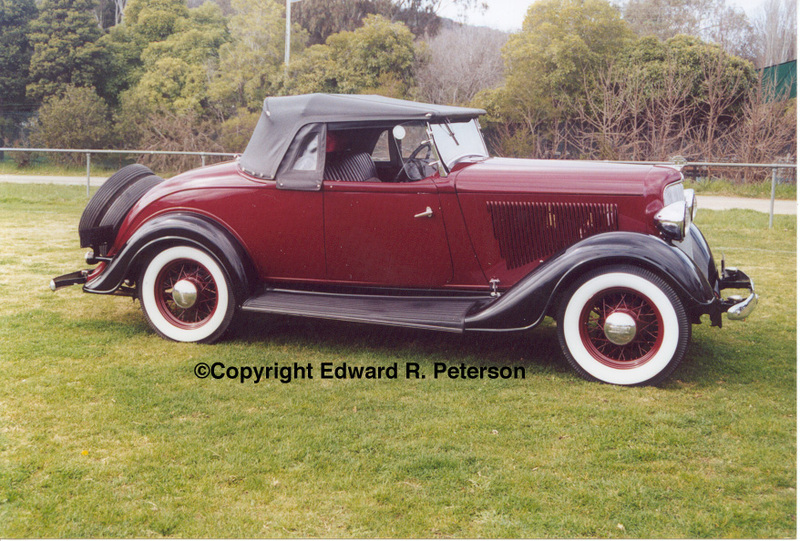 Holden body built in Australia (roadsters were not built in USA after 1932). 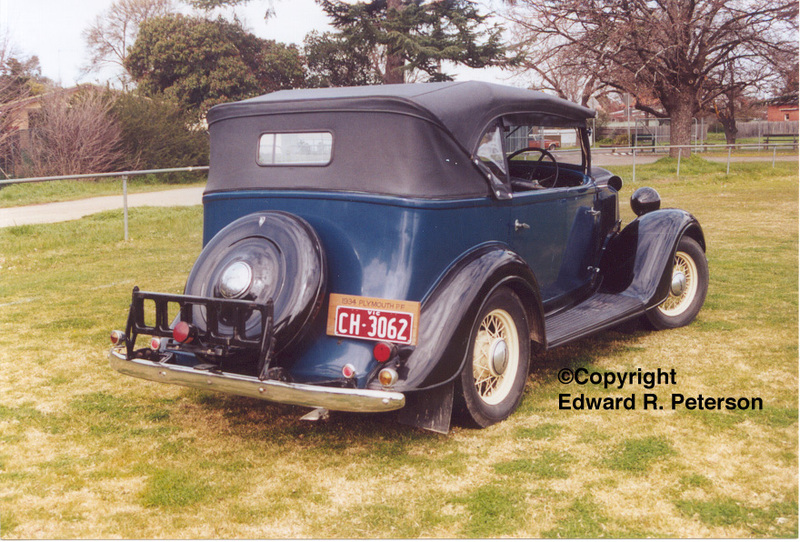 Holden body built in Australia only (last tourings in USA were 1932). 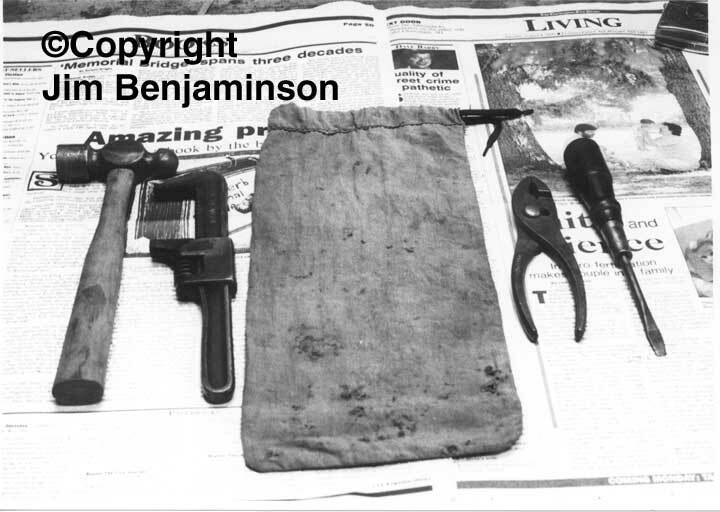 Tool bag (not serviced separately) The bag measures 6x14"
Other tools, not part of the “Tool kit bag assembly” were the wheel wrench, starting crank assembly, auto jack, jack handle, tire pump, and tire iron.